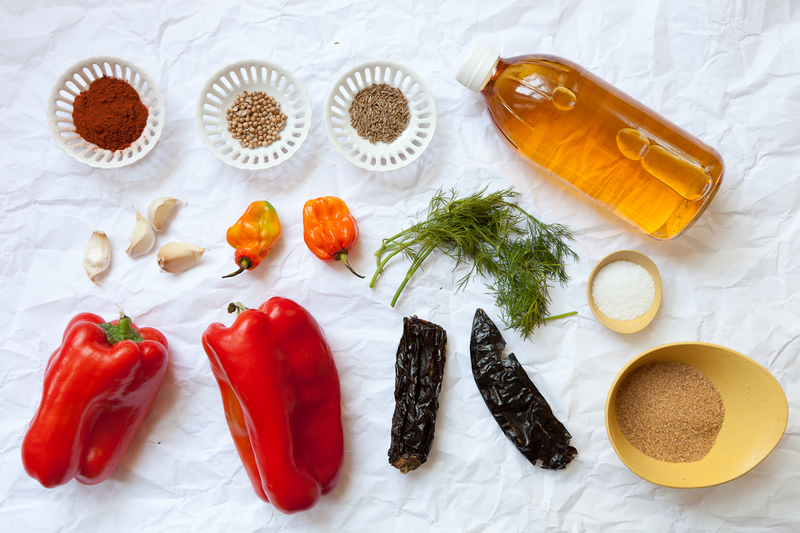 The formula for pickling is fairly simple – you create an environment that is hostile to the potentially lethal bacteria that cause food to spoil. 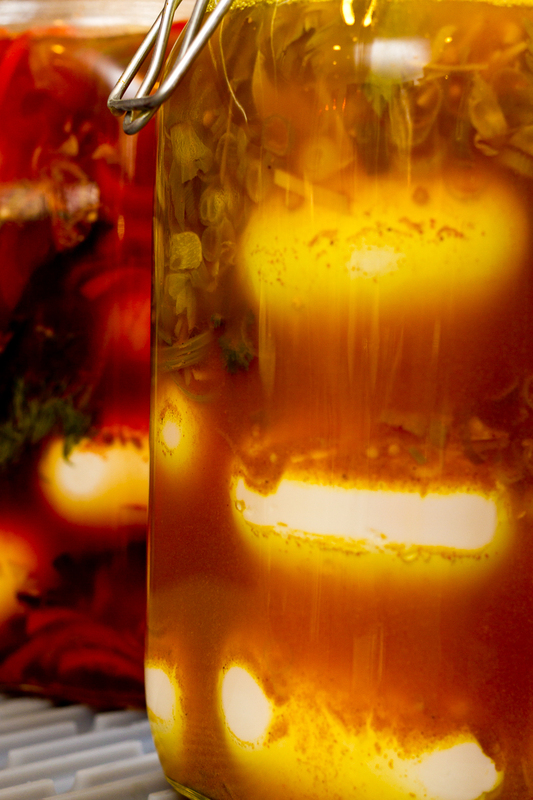 One method immerses the food in a ready-made solution, such as vinegar and water, whose PH is too acidic for harmful bateria to thrive. 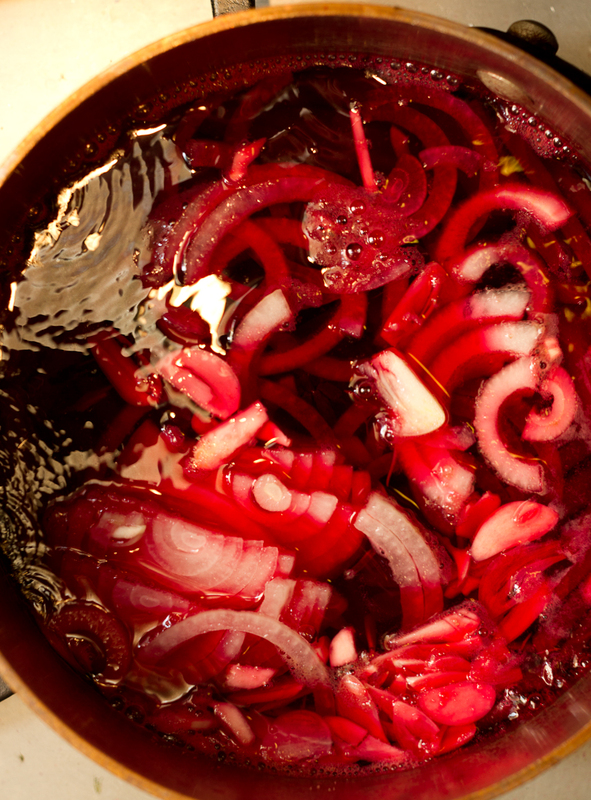 Another brines the food in a saline solution that initiates fermentation as it draws moisture out of the food (e.g. kimchee, sauerkraut). During fermentation good bacteria chow down on local sugars, depriving dangerous bateria of their food source. If that weren’t enough, the good bacteria also produce lactic acid, which again shifts the PH into the danger zone for harmful microbes. In the case of pickled eggs, we’re cooking the eggs, then using the acidic vinegar solution to flavor and preserve them. The eggs take on a sweet-tart flavor, but they don’t ferment. Like a religious aunt, they do grow more tart over time, but based on personal experience they seem to reach a certain point of tartness, then stop. Start tasting them after two days. As for shelf life, I don’t see why they wouldn’t last for at least several months, but we’ve never come close to having any around for that long. The most foolproof way I know of hard-boiling and then peeling eggs is to put them into a pot in a single layer, cover them with cold water by several inches and set them over high heat. As soon as the water starts to boil, turn the heat off, cover the pot and let them sit for 15 minutes. Transfer the pot to the sink, pour off the hot water and run cold water into the pot. Add ice if it’s convenient. Take each egg in turn and keeping it immersed gently bang the big end against the side of the pot so the shell cracks, then pinch off a bit of the bottom shell. Allow the eggs to remain immersed for another ten minutes, then peel. If you’re lucky, water will have worked its way between the membrane and the surface of the egg and the shells will come off easier than they might otherwise. The yolks should be a rich creamy yellow, but cooked, without any of the nasty greening of the yolk. 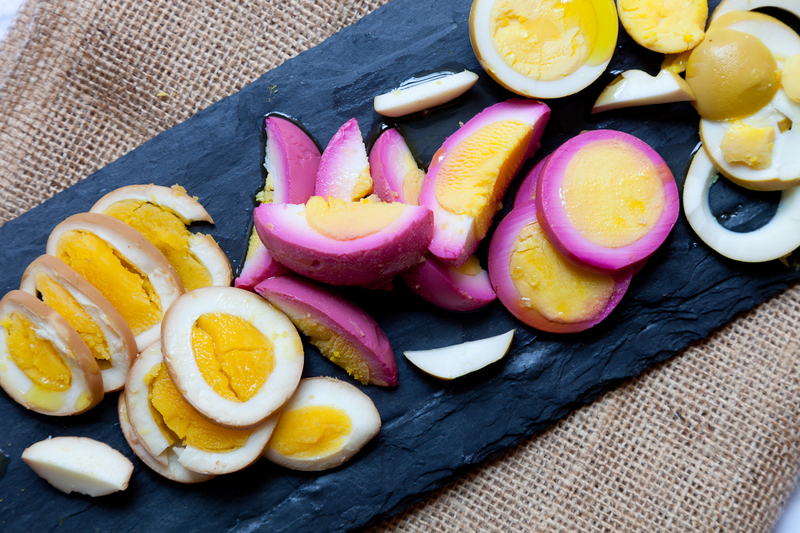 If you make pickled eggs this weekend you can serve them at a Fourth of July picnic. You can also remind everyone that America is named after Amerigo Vespucci. When the adolescent eye-rolling ceases, you can go on to observe that while we know him today as an intrepid explorer, in his first, less-exalted career, he helped Christopher Columbus make sure that his men never suffered from scurvy. Was he a doctor? you ask. Nope. He was Columbus’s pickle merchant. Bring 1½ cups water to a boil. Reduce the heat to low, add the beets, ½ teaspoon salt, bay leaves , star anise, cadamom and cloves and simmer for 10 minutes. Add all the remaining ingredients (including the salt), except the eggs, and simmer 10 minutes. While the pickling mixture is cooking, put the eggs in a clean jar with at least 2 inches room above the eggs. Pour the hot pickling mixture over the eggs. Allow to cool. Cover and refrigerate for at least 3 days, to allow the flavors to penetrate the eggs, and up to 3 months. 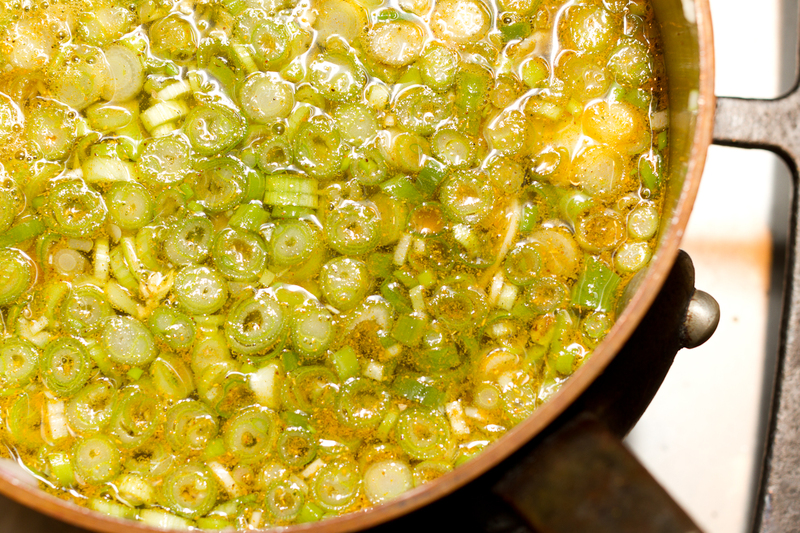 Bring everything to a boil, except the cilantro and eggs, reduce the heat to low and simmer 10 minutes. 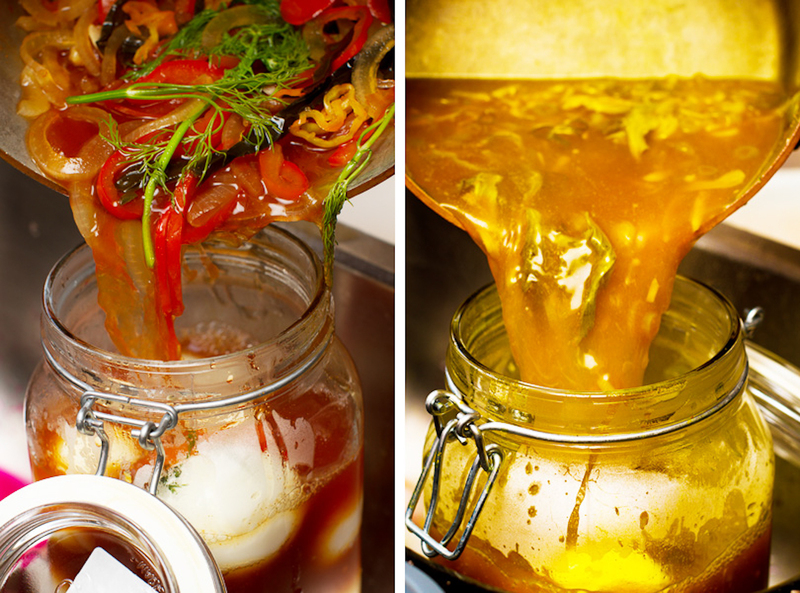 While the pickling mixture is cooking, put the eggs in a clean jar with at least 2 inches room above the eggs. Push the cilantro sprigs around the eggs. Bring 1½ cups water to a boil. 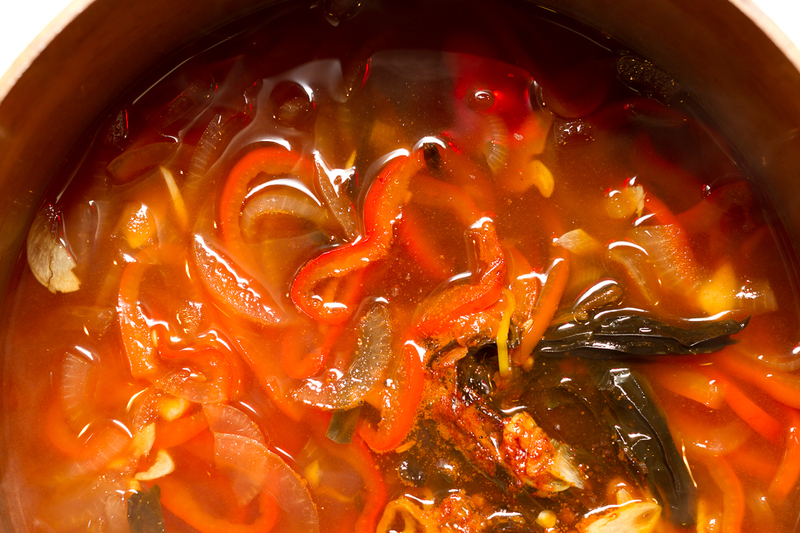 Reduce the heat to low, add the red and pasilla peppers, ½ teaspoon salt, cumin and coriander seeds and simmer for 10 minutes. Add all the remaining ingredients (including the salt), except the dill and eggs, and simmer 10 minutes. 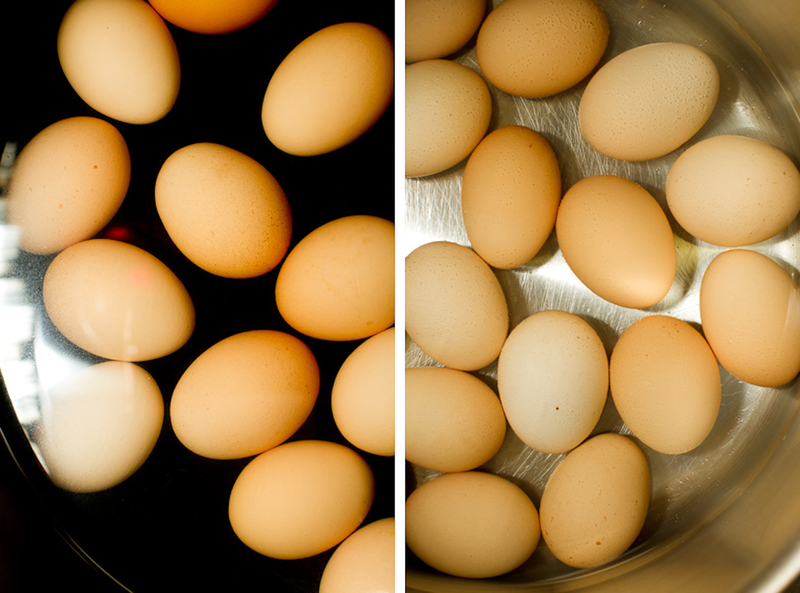 While the picking mixture is cooking, put the eggs in a clean jar with at least 2 inches room above the eggs. Push the dill sprigs around the eggs. Pickled eggs in the summer is a no-brainer in theory, but I always hesitate. All that peeling can seem monumental if you bump up against recalcitrant eggs. The shells stick because the eggs are so fresh, they haven’t pulled away from the shell. The technique described by Ken makes it easier, but sometimes they’re just stubborn. It’s best to just to let go and enjoy the mottled surfaces you may end up with. I try to remember how lucky we are to have fresh farm eggs from free range chickens. With both kids home from school there are a lot of opinions in the air about topics for the blog. One really hot morning a couple of weeks ago we were all crammed into our small kitchen. I was poaching chicken, Ken was behind the camera, and Oliver and Roxanne were making fun of each other, and us. “We want pickled eggs!” they cried. It made sense. Cold food would be instantly available in the fridge for days on end. The following week I made pickled eggs twice–a test run, then a second batch on blog day. The end result was 6 dozen pickled eggs. As of this morning, barely a week later, I think we’re down to 3 dozen. 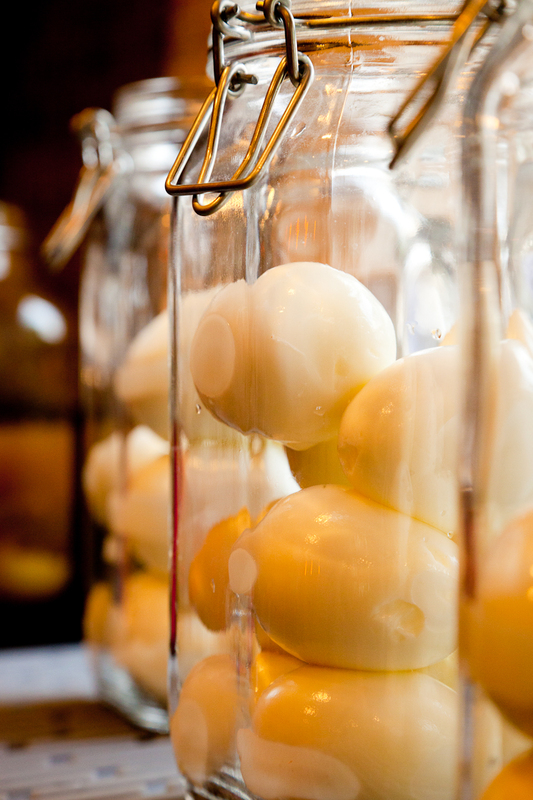 Recipes for pickled eggs vary wildly. 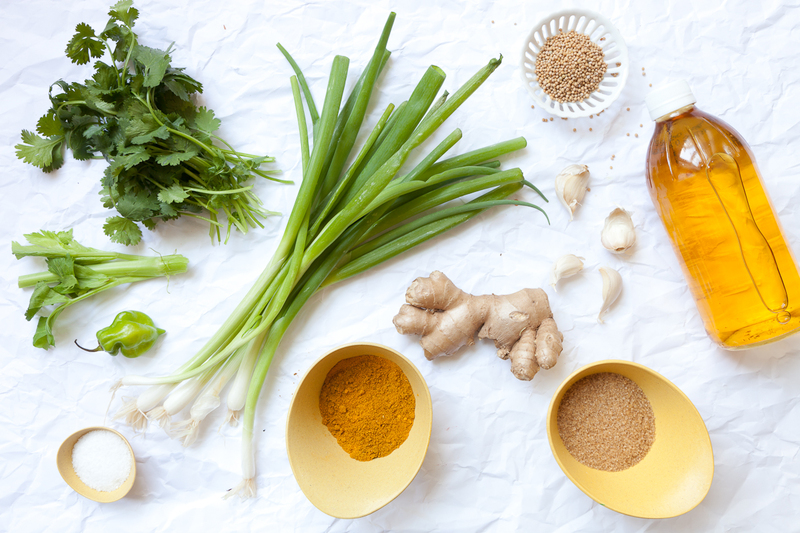 Instead of riffing on a common formula, each recipe is a world unto itself. Some call for vinegar; some for vinegar and water, and of course the latter disagree on the ratio of vinegar to water. Salt and sugar are equally no-standard. One recipe called for 3 times the amount of sugar I use here. 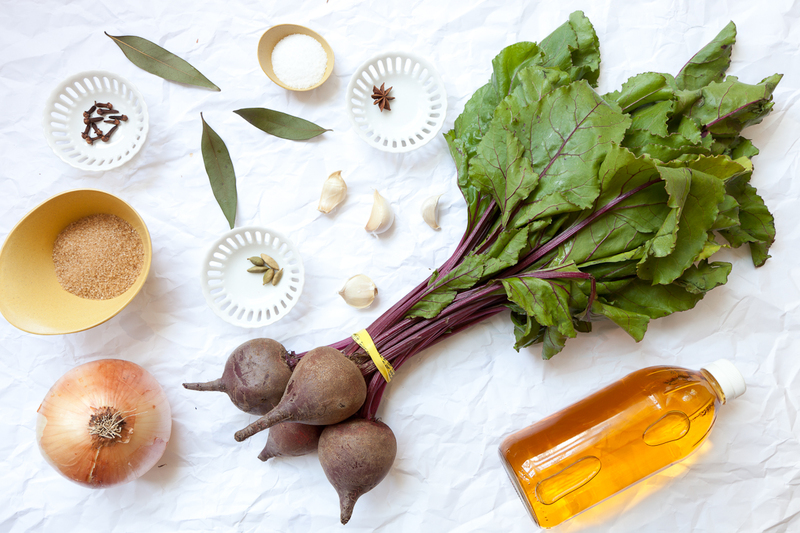 In order to keep the vinegar, water, sugar, salt ratios in the three recipes consistent I used 1½ cups of water in the beet and pepper recipes and only 1 cup in the curry. The latter cooks for a shorter period, and less water evaporates. I also don’t understand why some cooks strained off all the solids used in making the pickle juice. What a waste! 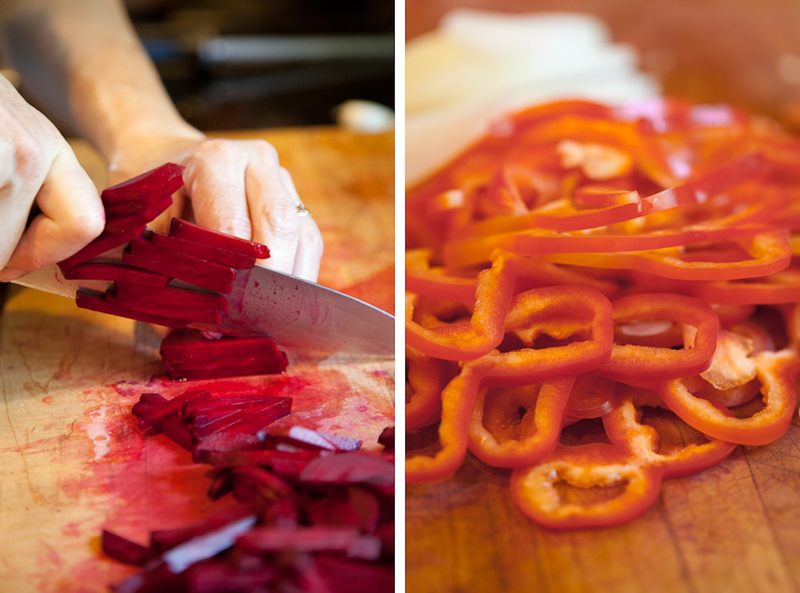 I like the visual element the beets, dill, pepper and ginger slices bring to the pickling jars, and the flavors they add to a salad. 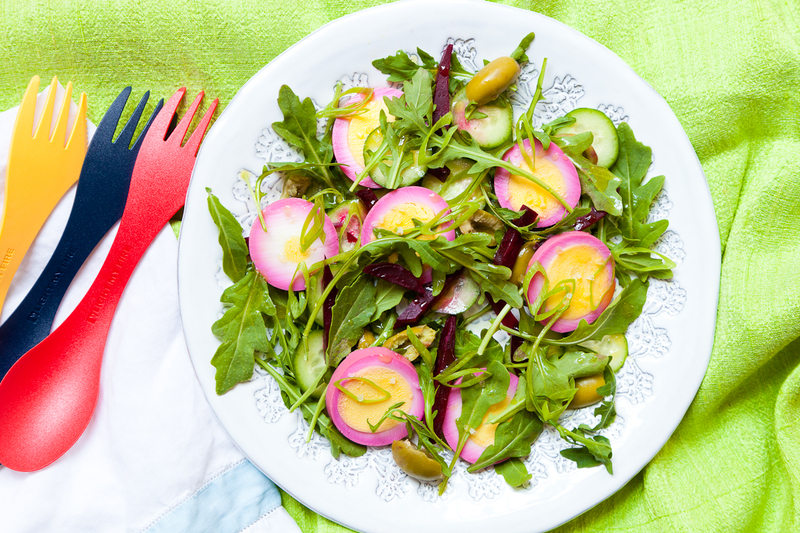 Think of pickled eggs as pre-seasoned hard-boiled eggs rather than pickles. They’re beautiful on an antipasto spread, on a salad or in a sandwich. My favorite is the one I’d never done before, the smoked chili eggs. They aren’t the most colorful, but their flavor is fabulous. The smoked paprika penetrates the eggs and I love how spicy they are. Once you’ve made a dozen–or two or three or six–they’re waiting for you every time you open the fridge. And you get to use that groovy egg slicer someone gave you. This entry was posted in Appetizer, Cold Food, Easy, Lunch, Picnic, Side dish and tagged bay leaves, beets, cardamom seeds, celery, cider, cilantro, coridander seed, cumin seed, curry, dill, eggs, garlic, ginger, habanero, hard-boiled, Madras, mustard seed, onion, pasilla, peppers, pickled eggs, picnic, raw sugar, scallions, smoked chilis, smoked paprika, star anise, vinegar. Bookmark the permalink. There’s much to take away from this piece (in addition to being a versatile and convenient summer food, who knew pickled eggs had peace-making properties? ), but the line about the religious aunt is the best. really nice colors and it must be really good ! 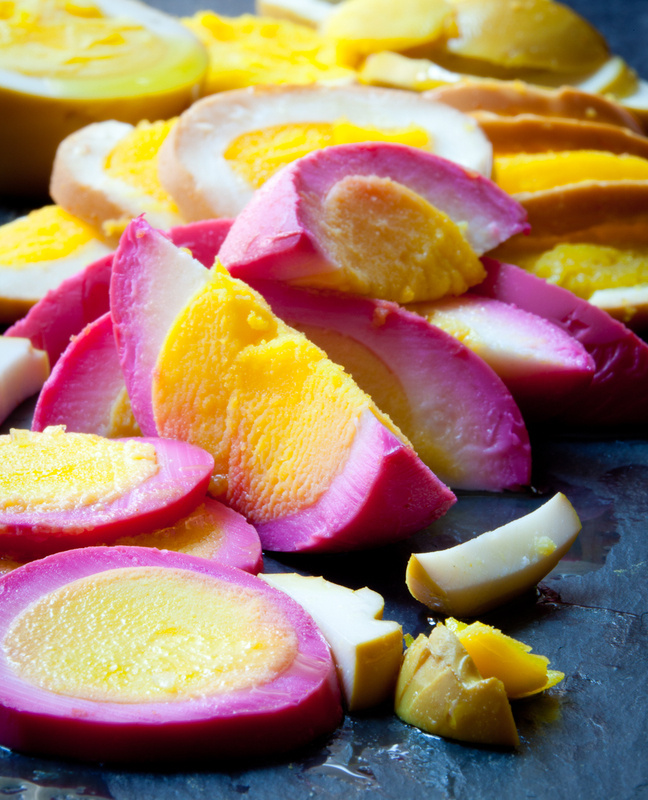 Another great post and another food I’ve never tried…pickled eggs. I’ll definitely be trying out your peeling technique the next time I’m working with hard-boiled eggs. The purple beet eggs are especially beautiful! I love all these pictures, especially the set of three showing off the ingredients! I made refrigerator pickled beets last week, and my recipe suggested adding hardboiled eggs to the brine when you’d eaten some of the beets. And here’s that idea popping up, on your blog! I’ve never tried pickled eggs, but given I have the brine already it’s a pretty low-effort way to start out. The other two variations look wonderful as well. I just started a batch of sauerkraut a few weeks back after reading none other than Katz’s intro! I got a little skeeved out by the constant skimming of mold and gave up, even though I think it’s supposed to be normal. Too bad I didn’t grow up seeing this stuff to know how it is supposed to work. It’s still a little hard to believe you just mix it with salt and that’s it! These were so good (and gorgeous!) I am absolutely going to try this. Thanks so much for having us over! Just discovered this great colourful blog post on eggs. I have only just read it – a few weeks behind…oh dear. I was eating a beetroot curry this evening in fact and was thinking about the possibilities of ‘dying’ other foods such as eggs with them. So funny to then read your blog post…love all three varieties. Fab post. Can you reuse the brine? I made the beet eggs and am about out. Could I rehab and pour over a new batch?